When it comes to breastfeeding education and support, I consider myself to be a huge cheerleader for the cause. Because I’m a realist, I also support a family’s decision to not breastfeed for their own personal reasons. Recently my eyes were opened to the topic of low milk supply and medical conditions/factors that contribute to this. Today’s post is going to focus on insufficient glandular tissue (IGT), occasionally known as breast hypoplasia. While I love helping families reach their breastfeeding goals, I’ve realized that breastfeeding education and support is a lot more than being a cheerleader. It can be reassuring a mother in her breastfeeding efforts. It can be teaching her to redefine her definition of success in regards to breastfeeding. I’ve recently talked to some women who have been impacted by conditions that contribute to low milk supply to hear their experiences. In today’s post, I’m sharing all that I personally have learned about IGT. What is IGT (Insufficient Glandular Tissue)? IGT is Insufficient Glandular Tissue. In a lot of lactation and medical textbooks, it is also classified as hypoplasia. 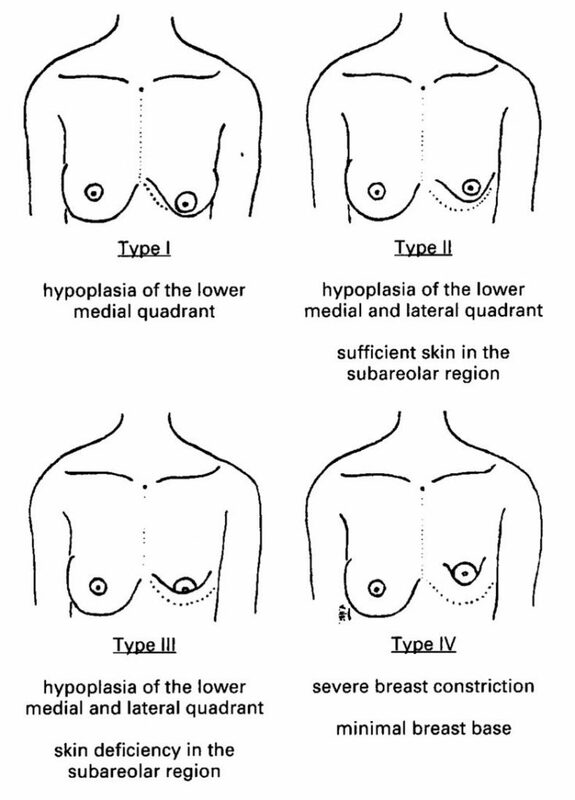 Hypoplasia of the breasts occurs when there is a lack of breast tissue with a wide spacing in between the breasts. What are the signs of Insufficient Glandular Tissue? What happens to milk supply when someone has IGT? Overall, the breasts are unable to produce an adequate amount of milk for a full feeding. If you notice there aren’t any changes, see an IBCLC during your pregnancy for prenatal breastfeeding consultation. Several women stated their contentment with using an SNS while feeding the baby. These women were able to feed at the breast while also fulfilling their infant’s needs with formula (or breastmilk) supplementation. Women who don’t necessarily enjoy using the SNS find peace in giving a bottle of supplement or having a family member use the bottle. While your milk supply may not increase to large enough amounts to completely satisfy the infant. Several women noticed their infant feed at the breast for a longer amount of time or they were able to pump a few more milliliters. I truly believe that breastfeeding isn’t all or nothing or “one size fits all”. Breastfeeding can be whatever works FOR YOU. I recently interviewed a mother that was diagnosed with IGT. One of the sweetest things that she said was that she still gets to breastfeed for at least one full feeding. That morning feed when her breasts are full, she is able to nourish the baby at the breast. While the baby is still being supplemented with formula, she also gets to breastfeed. This is so important for any women that had goals or ideas to breastfeed for bonding purposes. You can still do this in whatever way works best for your situation. Once you redefine success FOR YOU, your overall goal may change slightly. Studies have shown that many moms continued to breastfeed to their goal in spite of having a lower milk supply. In addition to breastfeeding, their infants were supplemented. Many moms still took joy in giving breastmilk to their infants. I don’t have the personal experience to back up my advice but I can see how hard this diagnosis is on some women. When you have big dreams and expectations to do one thing but are unable to do it, it’s emotionally battering. When you feel that you should be doing something based on what society is telling you, it can be insulting. In this particular time, take care of you and your mental health. Remind yourself every single day that you’re doing or have done all that you can possibly do. You literally are giving it your 100 percent. This may be a very emotional time for your family member. This is not the time for lectures or opinionated comments. In this moment, simple asking how you can help and how you can give them the support they need. If a mother chooses to feed with the SNS, then you could help her with the assembly. If a mother chooses to supplement with a bottle, any bottle preparation would help a ton! Often times, health care workers have a scientific mindset of doing what they’ve learned in textbooks. This isn’t always the most helpful thing in emotional situations. Instead of trying to over assess and over evaluate, offering emotional support first can be incredibly helpful. Obviously you want these women to breastfeed. These women want to breast also. It just isn’t always realistic. Learning more about additional methods of infant feeding is pertinent in this situation. Educating yourself on the supplemental nursing system, syringe feeding, bottle feeding and formula preparation can be super helpful for these mothers. Because it is our job to help them with their breastfeeding journey, determining their overall goal is extremely important. If a mother states that she wanted to breastfeed for 18 months, finding ways to help her achieve her goal in the most healthy and realistic ways possible is key. If IGT is suspected, communication the importance of breastfeeding follow-ups with the mother. Insufficient glandular tissue is tough. I can’t speak from personal experience but after speaking to several mothers, I can empathize and show my support. It can be a very emotional time for women who are already struggling with insecurities related to body image and feelings of inadequacy in terms of breastfeeding. It can also be hard to accept for women who have had the dream of breastfeeding their infant. As stated throughout the post, redefining your success in terms of breastfeeding can help immensely. Find supportive health care workers and family members that can walk side-by-side with you on your breastfeeding journey. And if you do have IGT, please remember that you are enough. You are doing/have done everything to the best of your ability. That is beautiful, wonderful, and dedication. Riordan, J., & Wambach, K. (2010). Breastfeeding and human lactation. Sudbury, MA: Jones and Bartlett.